I cover the jackfruit with liquid and let it cook in the slow cooker until most of the liquid is absorbed, about 6 hours I’d say. First I used it to make a sandwich. Then I saw a recipe for a pulled pork and goat cheese quesadilla and I really wanted to make a version of that. I love this tofu chevre recipe, so I made a batch of that. I also went and bought some Daiya for good measure. The mozzarella or jack wedge would both work. I sautéed some sweet onions and cut some chives from my garden. 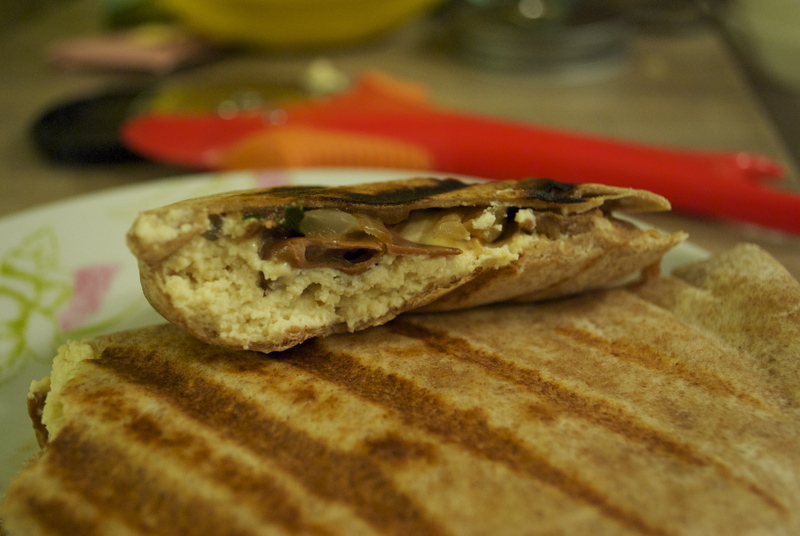 I layered the ingredients onto a whole wheat tortilla and heated it in my panini pan. The result was a fine quesadilla. I know there are sort of a lot of elements for just a quesadilla, but worth it. ← Bergamot Orange Semolina Cake w/ Olive Oil & Thyme. I hope you do. The tofu chevre is pretty easy to do and once that and the jackfruit are done then this dilla comes together super quick! We ought to have adventures with jackfruit one night. That will be the Facebook album title name. 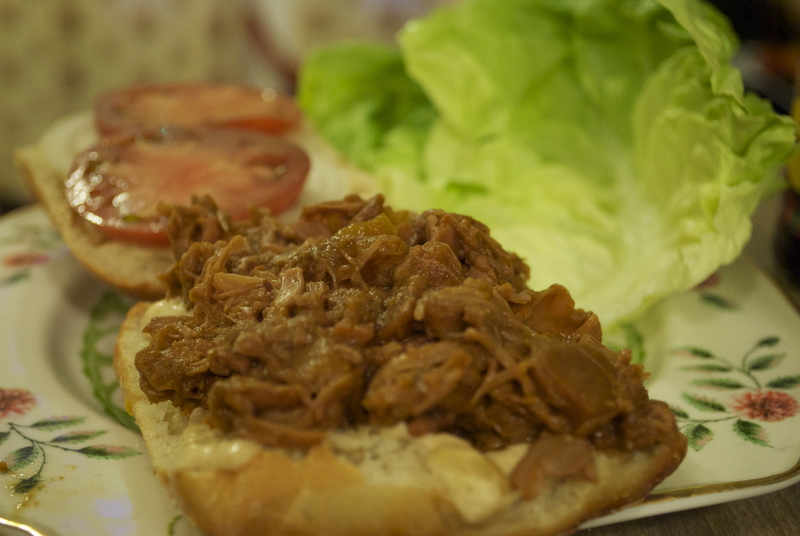 Adventures with Jackfruit…..